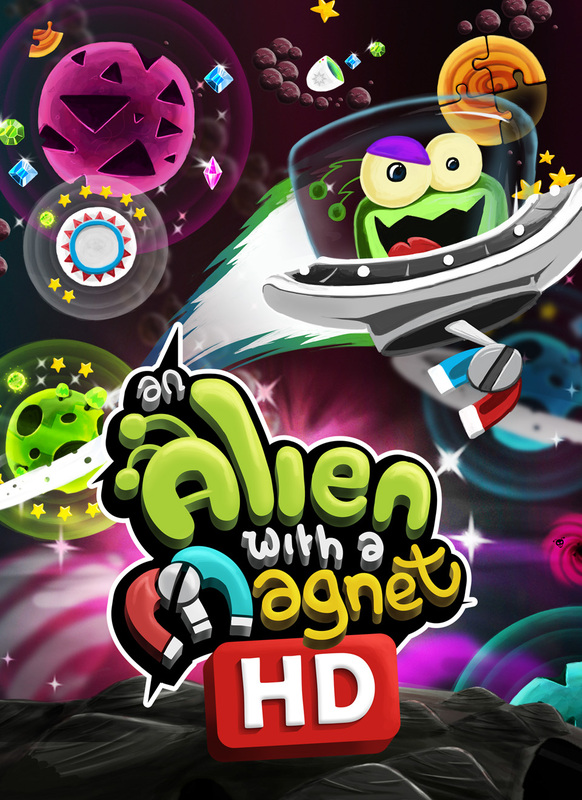 Welcome to the galaxy of An Alien with a Magnet HD, an amazing new platform-adventure-puzzler with a literal twist! Pick up diamonds, find secret orbs and unlock new levels to get the alien home safely in this new crazy indie game. Take control of our Alien and his spaceship and get him back to his home planet using just a magnet. Get ready to explore multiple galaxies using this magnet to orbit around colorful and unique planets to get to your goal. But beware of dark holes, challenging puzzles, multiple locks and asteroids blocking your path in space! Besides the adventure mode, you can also play an extra bonus mode which will keep you busy for even more hours of fun gameplay! Flying Bundle is happy to announce their fourth bundle: Flying "New Year" Bundle. Featuring 10 games in total from different genres, purchasers will also get artwork and soundtracks as bonuses which will be announced later. If bought separately games are valued at over $85, but Flying Bundle lets gamers name their price with a minimum of $1. If gamers choose to pay more a special prize for top contributors are waiting for them as well. *Buyers will receive Steam keys if the games are Greenlit. Please visit Flyingbundle.com< for more information. Launched in 2013, FlyingBundle.com offers digital PC games at low prices and time limited bundle deals. As gamers themselves, FlyingBundle.com Team's main goals (and ideas behind the bundle) are to provide gamers with awesome titles that they can enjoy with a reasonable price. iPhone, iPad, Android, Windows Phone 8, Mac & PC! We're everywhere! An Alien with a Magnet HD - Pre-order now! Get ready for another week of fantastic Indie releases right here on Desura! One of the neatest looking games I've seen on Desura in a while. It looks like a pinball game with some twists. My plate is full right now game-wise but I may consider this title later on. Thanks for the kind comment! We hope you'll like the game! Can i get your official address team .i would like to communicate with you.